How to earn $21,423.67 more by flirting and stomping your feet! 1. Avoiding round numbers can give you the upper hand. When negotiating, Columba Business School researchers suggest that asking for an exact number will make you appear to have a better understanding of your true value and implies there is little room to haggle. By the way, this applies to selling your house as well! 2. Women = 50.8% of population hold ONLY 2.5% of highest paid jobs and make $.75 on the dollar! Many feel the income gap between men and women is partly due to women’s aversion to negotiating and the pay gap begins at the hiring negotiation. 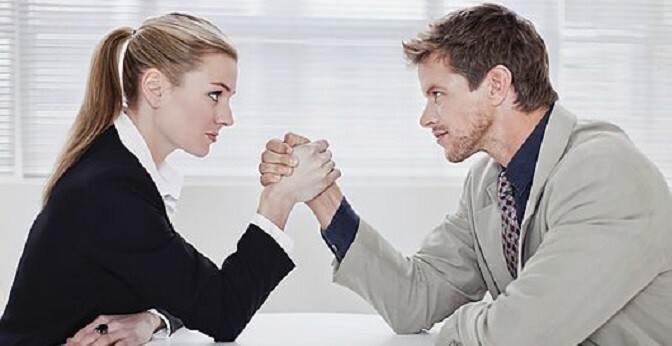 Research now suggests that women are just as avid negotiators IF given the opportunity. Men generally, disregard permissions (i.e. explicit statements like price or wages open to negotiation) and jump right in. 3. A little harmless flirting doesn’t hurt…if you are a woman! Confronted with the trade-off between being taken seriously or appearing open and warm; the London School of Economics reports a little extra smile goes a long way for women negotiators. Authentic, non-overt flirting works well for the female persuasion, adding to impressions of confidence. Male flirting seems to flip the switch on the creep-factor and should be avoided. 4. Men can be angry, women can’t. While men gain little from flirting, a little anger is just peachy! Yale University research suggests that people’s perception of anger differs between men and women. Male anger is generally accepted and sometimes rewarded, while women’s anger makes them appear less competent and may cause a loss in status. 4.24. In short, when you ask for something, be specific, flirt (women) and yell (men)! … As payment for this advice, please forward me 11.87% of all negotiated proceeds. University of Chicago. “Women eager to negotiate salaries, when given the opportunity.” ScienceDaily. ScienceDaily, 15 November 2012. <www.sciencedaily.com/releases/2012/11/121115132355.htm>. University of California – Berkeley Haas School of Business. “Flirting can pay off for women, study finds.” ScienceDaily. ScienceDaily, 9 October 2012. <www.sciencedaily.com/releases/2012/10/121009111942.htm>. Yale University. “People Accept Anger In Men, But Women Who Lose Their Temper Are Seen As Less Competent, Study Shows.” ScienceDaily. ScienceDaily, 4 April 2008. <www.sciencedaily.com/releases/2008/04/080402152707.htm>.